I've added a few things to my stash recently. 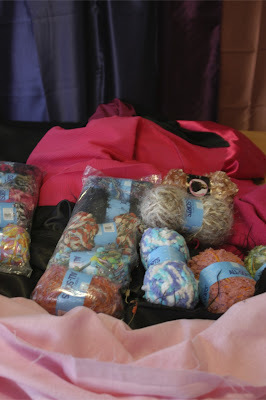 The first photo shows items I picked up when all fabrics at Lincraft were reduced in price. Then, last Friday, I had a wonderful time at the craft fair in Melbourne. I was like in a kid in a lolly shop. I had to wait for my son to meet me after work, so I wandered around for hours. 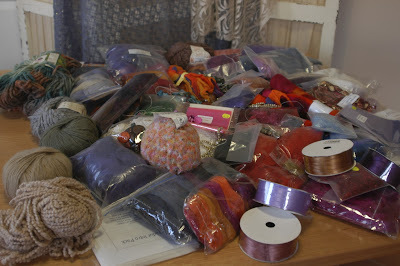 Most of my goodies, pictured below, came from The Thread Studio but I also picked up some fabric and beads at the South Melbourne Markets the next day. I haven't had time to play with any of them yet but I love just looking at them.